Share the opportunity of organic grain with fellow farmers in your area. 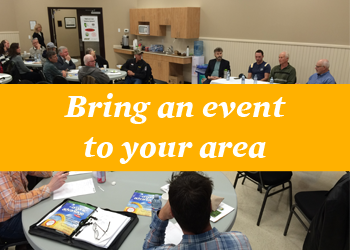 We’ll work with you to plan, organize and promote an event whether its a n evening coffee with neighbours or a transition workshop. We’ll bring resources, tools and connected to expertise to help get people started.